The first Deathly Hallows sneak peek could air on December 4 but it's not sure. especial. Fiquem atentos no Oclumência para mais novidades! esperar se conseguiremos ver o sneak peek na internet também. série em uma semana! Aguardem por qualquer nova informação! 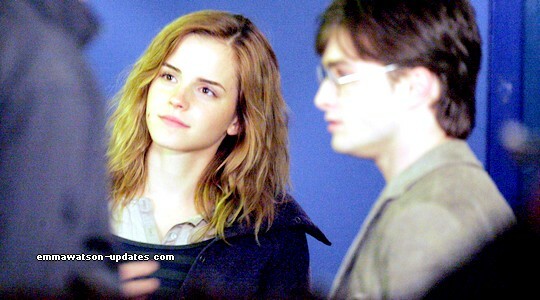 Those who have been following us on Twitter these last days, were the first ones to learn in Brasil that on December 04 on ABC, the American channel will air the first sneak peek of Harry Potter and the Deathly Hallows. On the other hand, the informations on the Italian website Portkey say they don't know if ABC is really going to air this special program. Stay tuned on Oclumencia for more news! And to those who are waiting for the sneak peek of the Deahtly Hallows in the DVD of the Half Blood Prince, the video will be released on December 07 in Blu-Ray via BD-Live as it is expected to include it and also on the internet. If the information about ABC is true, we have two videos of the movie coming in one week! Watch out for new informations.